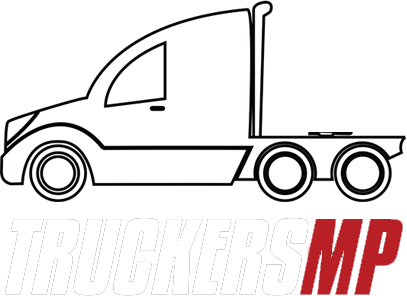 Hello i'm Max or LivePlayer I have see some Videos where some Player play with mods in Euro Truck Simulator 2 Multiplayer (TruckersMP) but I don't find any Guide how to installed Mod in Euro Truck Simulator 2 Multiplayer(TruckersMP). I have only found there can't play without mods in Euro Trucks Simulator 2 (TruckersMP). I tried several possibilities but nothing sparkled. I think all mods there are use are from the Steam Workshop but i but I don't quite know. Ich habe einige Videos gesehen wo die Spieler mit mods in Euro Trucker Simulator 2 (TruckersMP) spielen aber ich habe keine anleitung gefunden. Ich habe nur gefunden, das man ohne Mods in Euro Trucks Simulator spielen kann. Ich habe mehrere möglichkeiten versucht aber es hat immer nicht funktioniert. Ich glaube alle mods sind von den Steam Workshop aber ich bin mir nicht sicher. I hope you can help me Ich hoffe ihr könnt mir Helfen.